The Boston Waterfront will continue to change and be the gateway to our city. City Hall has moved to the positive side, but it appears not all the abutters are for the size of the Harbor Garage site. Boston Redevelopment Authority officials said they plan to recommend Wednesday that a skyscraper on the site of the Boston Harbor Garage be allowed to reach up to 600 feet. That would essentially match the taller of the two buildings Chiofaro has proposed for the property and would be far taller than any other neighboring building overlooking the harbor. But Chiofaro would not get everything he wants: City officials will propose to limit development at the garage site to 900,000 square feet. The two-building complex proposed by Chiofaro last year would total 1.3 million square feet, with a mix of offices, residential units, and other uses…Chiofaro declined to comment, so it’s unclear whether the smaller building area would limit the developer to one tower instead of two. Lewis Wharf is looking to make a splash in the Boston waterfront with their redevelopment. 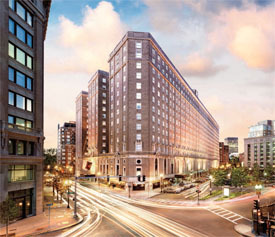 Boston-based real estate firm JW Capital Partners has proposed redeveloping and rehabilitating a 225-space parking lot on Lewis Wharf, a waterfront site in the the city’s North End neighborhood…The centerpiece of the proposed development is a 300-room luxury hotel surrounded by 2.4 acres of public outdoor space along the waterfront, along with an updated Harborwalk area. 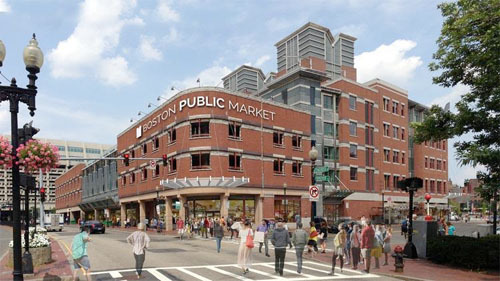 The site would also host the Boston Sailing Center and include a below-grade 380-space parking garage to replace the above-ground parking garage at 28 Atlantic Ave.
Government Center and North Station have a new amenity: Boston Public Market, a year-round, 28,000-square-foot indoor farmers’ market. The market will consist of 35 different providers with operational hours from 8 a.m. until 8 p.m. Wednesday through Sunday. The 28,000-square-foot non-profit market at 100 Hanover St. — above the Haymarket MBTA station — will house over 35 farmers, fishermen, and food producers from Massachusetts and throughout New England, selling items such as farm fresh produce; meat and poultry; eggs; milk and cheese; fish and shellfish; bread and baked goods; flowers; and an assortment of specialty and prepared foods…The Boston Public Market is a public-private partnership made possible with the support of Massachusetts and the commitment of over $9 million in private philanthropy from various donors. 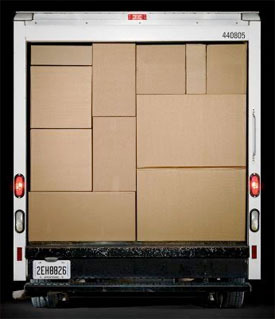 Where is the next hot spot for companies on the move that don’t what long term leases? 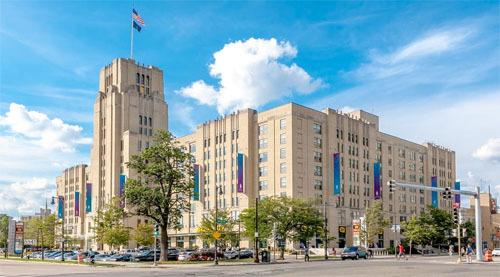 Landmark Center. 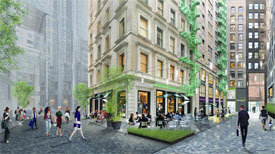 You can read more on Hatch Fenway on the BBJ’s website. 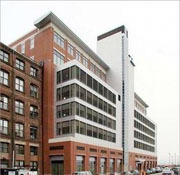 The building at 22 Boston Wharf Road currently includes 241,124-square-feet and has been assessed at $26.435 million, based on information in the BBJ from the city assessor. 0	Seaplane Commute from Boston-to-NYC? Logan Airport and South Station might soon compete with a dock in Boston Harbor for New York bound travelers. 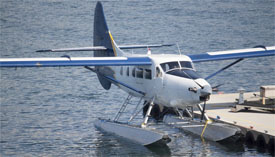 If Dan Wolf, CEO of Cape Air has his way he will be offering NYC travelers trip via seaplane. Cape Air CEO Dan Wolf says that he’d like to start flying seaplanes “within the next two years”… Wolf says that the trip from Boston’s waterfront to a seaplane dock on the East River in Manhattan would take about an hour and fifteen minutes, eliminating the travel by taxi or car to and from the airport in each city, not to mention lengthy security lines. “We’d like to start by doing four trips a day in each direction,” Wolf says, using a single-engine Cessna Caravan that seats nine passengers. You can read the complete article on the Boston Globe’s BeteBoston site.